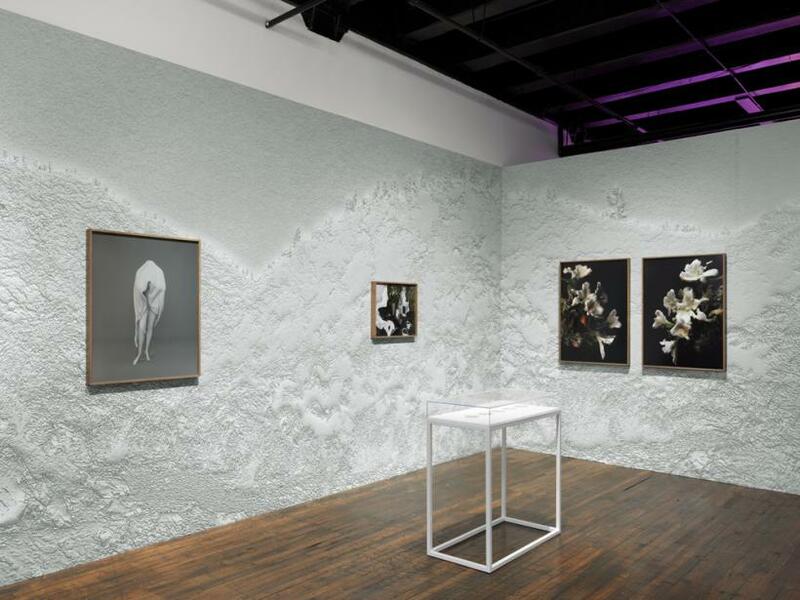 ‘Still Life’ is the second iteration of San Francisco-based artist Rhonda Holberton’s exhibition - first presented at CULT | Aimee Freiburg Exhibitions in 2017 - featuring a networked video installation, prints captured from augmented reality simulations, wallpaper embossed with textures derived from CGI techniques, gold dust mined by hand, and video tracking a swarm of mosquitoes housed in the artist’s studio. 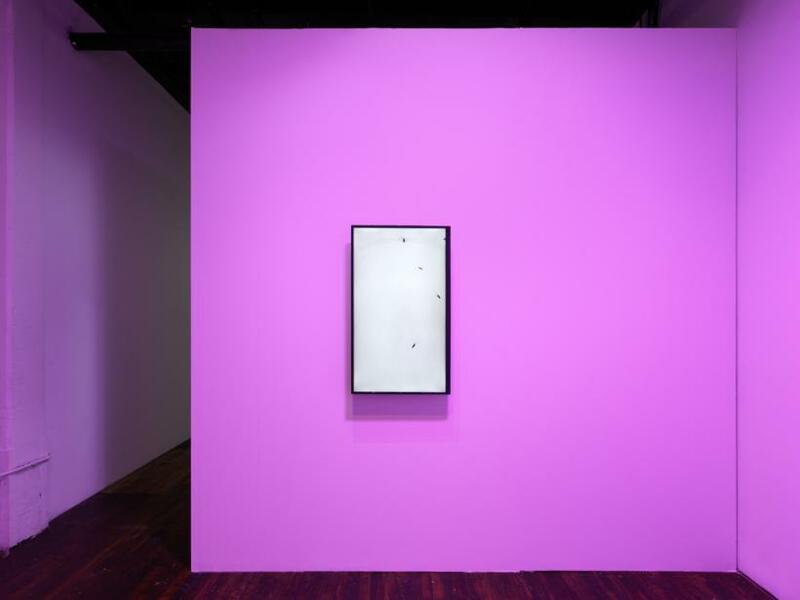 Contrary to the exhibition’s title, which suggests a state of stasis, Holberton’s work oscillates between analogue and digital, animate and inanimate, in order to destablise the notion of these binaries, and explore the possibility of a third space. ‘Still Life (Vanitas)’ (2017), is an archival pigment print of a digital simulation which draws a parallel between capitalist systems of exchange, the currency of digital aesthetics and 17th Century Dutch still life painting commissioned by the mercantile class, which can be regarded as some of the earliest social imagery. Holberton’s still life depicts a fragmented bust modeled on a mannequin salvaged during the liquidation of clothing manufacturer American Apparel, who gazes at her reflection through the screen of an iPad. 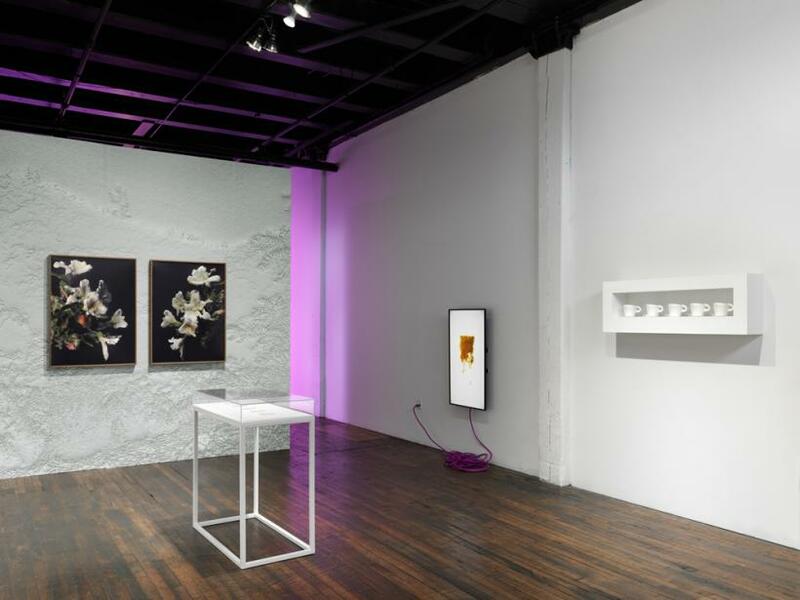 The protagonist is positioned against a backdrop which mirrors the wallpaper covering the gallery walls, and is surrounded by a vase of flowers, a lone croissant, and a weighty 3D printed mug, copies of which are displayed on shelves opposite. Unlike the hand thrown original by ceramicist Eric Bonnan, part of a set purchased for the artist’s partner, the copies, entitled ‘Vessels’, have a rough, uneven texture, as a result of the inaccuracy of the 3D scan. Holberton’s quivering objects do not carry a single meaning, but rather, exist as allegories which carry a coded memory of their personal, material and cultural history. 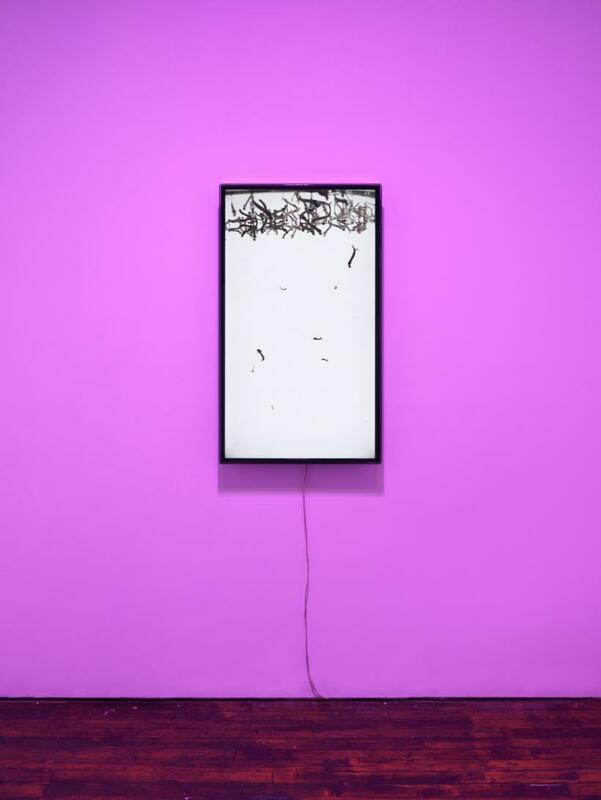 In two performative works titled ‘Dust to Dust’ (2017), Holberton uses her body to ‘engage corporeally with a global metabolism represented in the concept of the Anthropocene / Capitalocene.’ She asserts that ‘the metaphors and histories of material things cannot be divorced from globalised networks of digital technologies, the environment, religion and politics.’ In the first work, Holberton utilises technology to live-stream a scourge of mosquitoes bred from her own blood. This action alludes to the threat to fertility posed by the Zika virus, and the migration of mosquitos as an indicator of Climate Change, challenging the conception of an omnibenevolent Mother Earth. 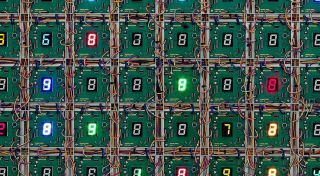 By inserting herself into a local system indexical of a much larger system, Holberton’s diptych alludes to Timothy Morton’s concept of the Hyperobject; something too large and complex to be understood by a single human processor. 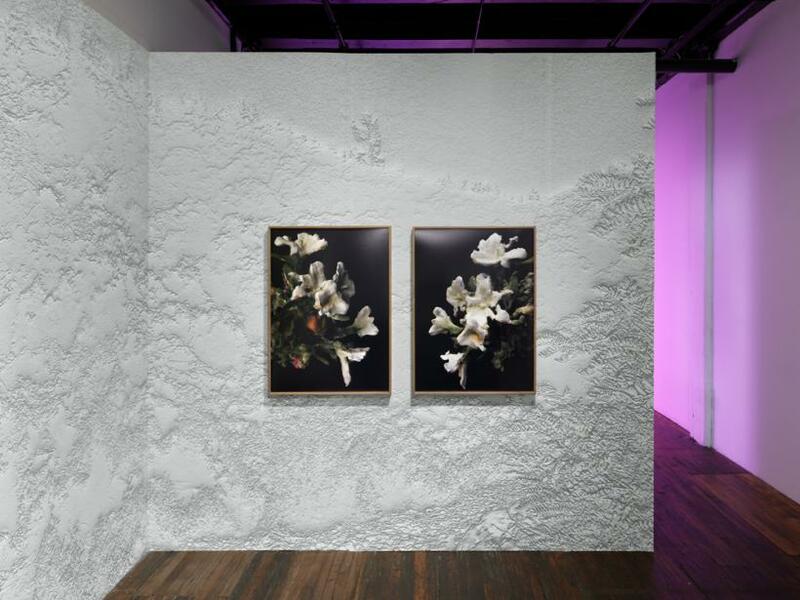 This micro / macro relationship is also at play in the second work, which comprises 5 grams of gold displayed within a vitrine, panned by Holberton from the Californian landscape. Referring to the frequent association of 20th Century gold rush pioneers and Silicon Valley as the epicentre of the 21st Century US tech economy, the work draws attention to a male-centric entrepreneurial ideology, and questions the role of physical labour in an increasingly dematerialised society. While Holberton’s practice frequently incorporates performance, seen by way of objects and simulations which evidence a discontinuity between the visual sign and its meaning. 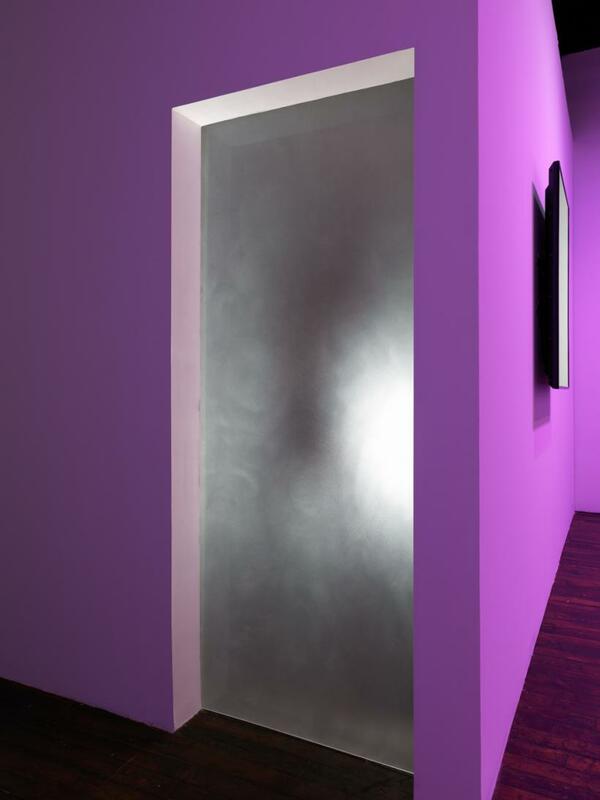 This constant fluctuation between physical and digital generates a hybrid space, which permits a consideration of the abject, the gendered body, and the conception of labour within contemporary society, invoking Homay King’s idea of ‘Virtual Memory’, whereby he contends that virtuality is not a contranym, but rather, can be regarded as a metaphor to navigate lived experience. 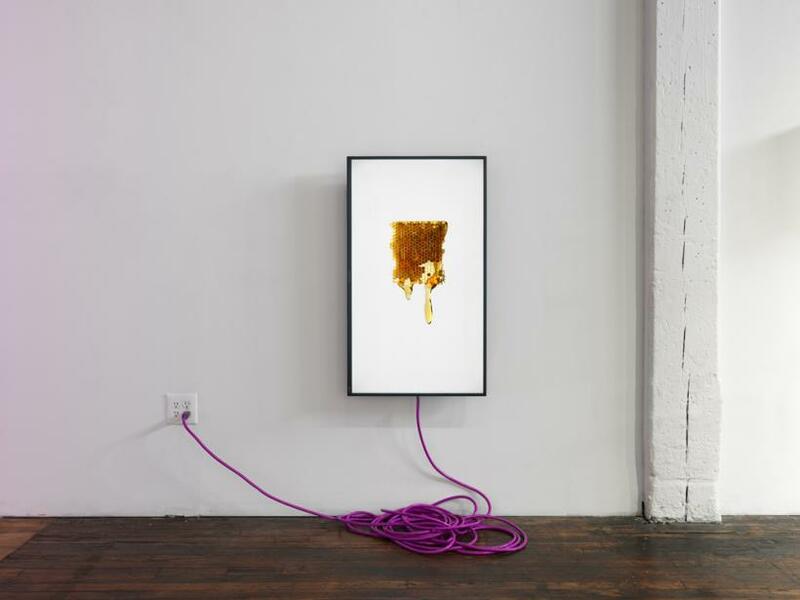 Likewise, the traces of past and future images which reverberate throughout Holberton’s body of work coalesce at the site of presentation to propose a new reality inhabited by the viewer.